CO.RI.S.A. 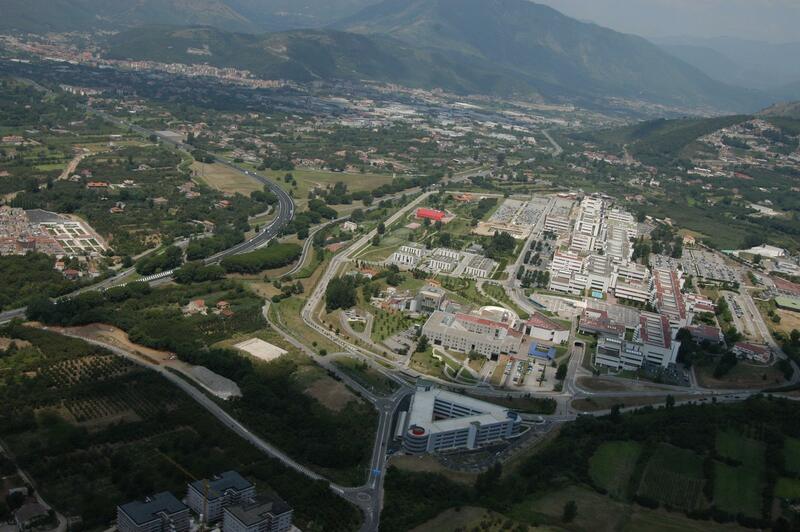 is located at Lab 4 ex DMI- University of Salerno Via Giovanni Paolo II, 132 84084 Fisciano (SA). From Naples: A3 Motorway(Napoli-Salerno-Reggio Calabria); proceed South direction and lead into Salerno-Avellino crossing motorway; proceed towards Salerno and exit at Avellino-Mercato San Severino; at the end of the junction go right. From Naples: A16 Motorway (Napoli-Bari); from Naples take the A30 East (Caserta-Salerno), direction Salerno, and continue until you reach the junction to Avellino. Shortly after entering the Salerno-Avellino motorway, exit at Fisciano-Mercato San Severino; at the end of the junction go right. From The East (Bari): Motorway A16 (Napoli-Bari); exit Avellino Est toll booth and ead into Salerno-Avellino crossing motorway; exit at Fisciano-Mercato San Severino; at the end of the junction go right. From The South (Reggio Calabria): A3 Motorway (Reggio Calabria-Salerno-Napoli);take the branch A1 and A16 motorways before Salerno and, proceeding in Avellino way, exit at Fisciano-Mercato San Severino; at the end of the junction go right. Train: Salerno Centrale station, take Fisciano Università bus from the plaza. Bus: Università di Salerno bus service from Salerno ( Vittorio Veneto-Stazione Centrale Plaza parking) or Napoli (Garibaldi-Stazione Centrale Plaza parking).